Toyota Motor Corp. said Wednesday it has reached a settlement worth more than $1 billion in a case involving hundreds of lawsuits over acceleration problems in its vehicles. LOS ANGELES (AP) — Toyota Motor Corp. said Wednesday it has reached a settlement worth more than $1 billion in a case involving hundreds of lawsuits over acceleration problems in its vehicles. The company said in a statement that the deal will resolve cases involving motorists who said the value of their vehicles plummeted after a series of recalls by the Japanese automaker stemming from claims of sudden acceleration defects. Lawyer Steve Berman, a plaintiffs' attorney, said the settlement is the largest settlement in U.S. history involving automobile defects. The proposed deal was filed Wednesday and must receive the approval of U.S. District Judge James Selna, who was expected to review the settlement Friday. Berman said the total value of the deal is between $1.2 billion and $1.4 billion. Toyota said it will take a one-time, $1.1 billion pre-tax charge against earnings to cover the estimated costs of the settlement. The case was filed two years ago and divided into two categories: economic loss and wrongful death. Claims by people who seek compensation for injury and death due to sudden acceleration are not part of the settlement. The first trial involving those suits is scheduled for February. 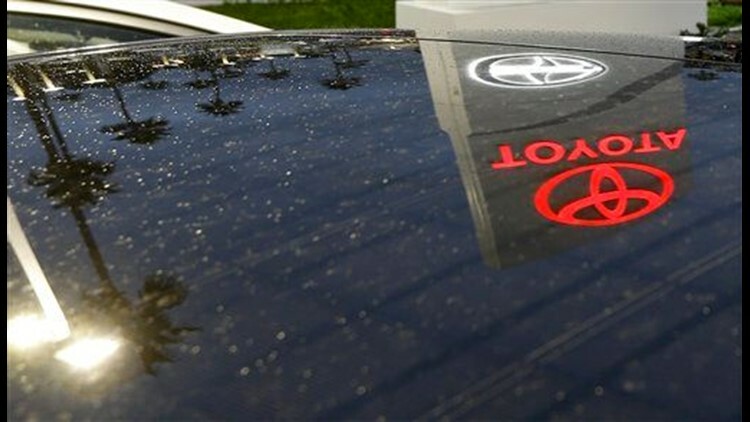 As part of the economic loss settlement, Toyota said it will offer cash payments to eligible customers who sold vehicles or turned in leased vehicles between September 2009 and December 2010. The company also will launch a program for 16 million current owners to provide supplemental warranty coverage for certain vehicle components, and it will retrofit about 3.2 million vehicles with a brake override system. An override system is designed to ensure a car will stop when the brakes are applied, even if the accelerator pedal is depressed. Toyota has recalled more than 14 million vehicles worldwide due to acceleration problems in several models and brake defects with the Prius hybrid. The company said plaintiffs' lawyers have been unable to prove that a design defect — namely its electronic throttle control system — was responsible for vehicles surging unexpectedly. Both the National Highway Traffic Safety Administration and NASA were unable to find any defects in Toyota's source code that could cause problems. Toyota has blamed driver error, faulty floor mats and stuck accelerator pedals for the unintended acceleration. Plaintiffs' attorneys have spent the past two years deposing Toyota employees, poring over thousands of documents and reviewing software code. The results of their efforts have not been made public. "We are extraordinarily proud of how we were able to represent the interests of Toyota owners, and believe this settlement is both comprehensive in its scope and fair in compensation," Berman said.